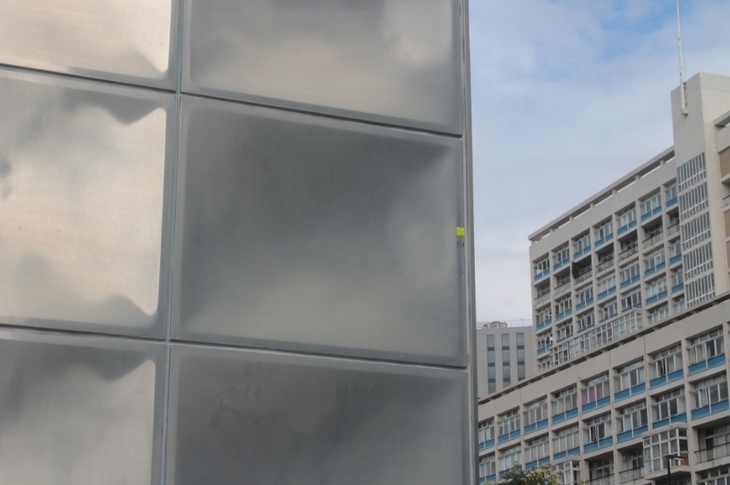 What Is The Shiny Metal Box In The Middle Of Elephant And Castle? 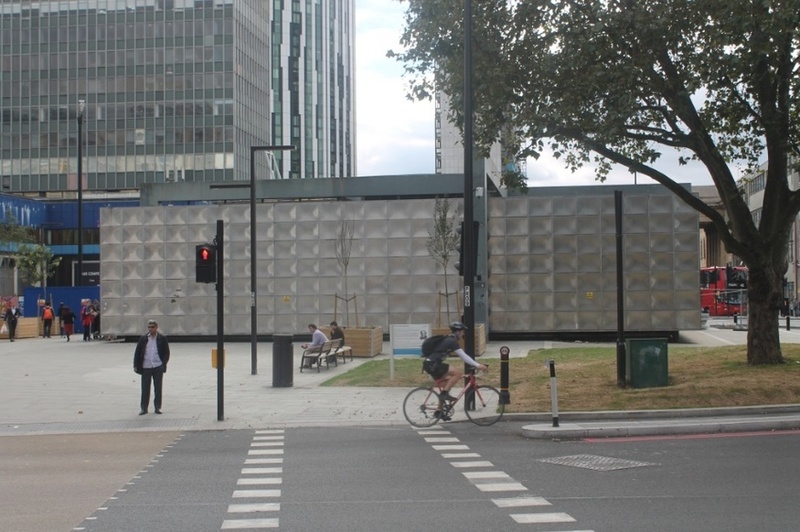 Will Noble What Is The Shiny Metal Box In The Middle Of Elephant And Castle? The shiny stainless steel cube arrived in the middle of what was Elephant and Castle roundabout in 1961. 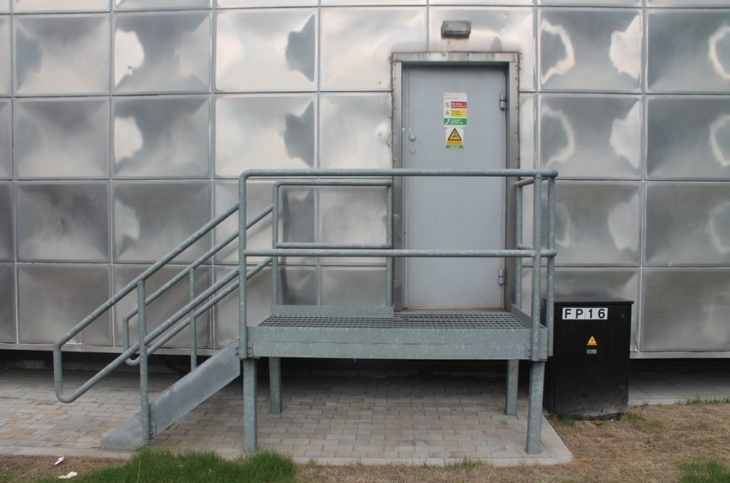 And it's been confusing bus-bound passers-by ever since: is it an electrical substation? An outlandish slab of public art? 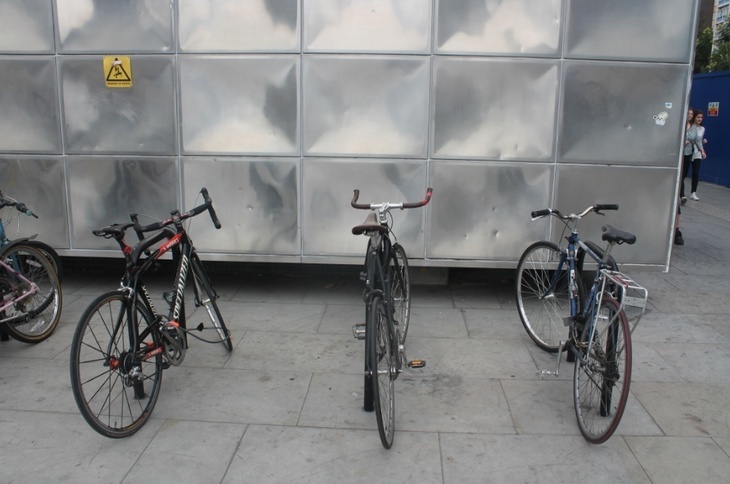 An improvised bike rack? The answer is: yes, yes and yes. 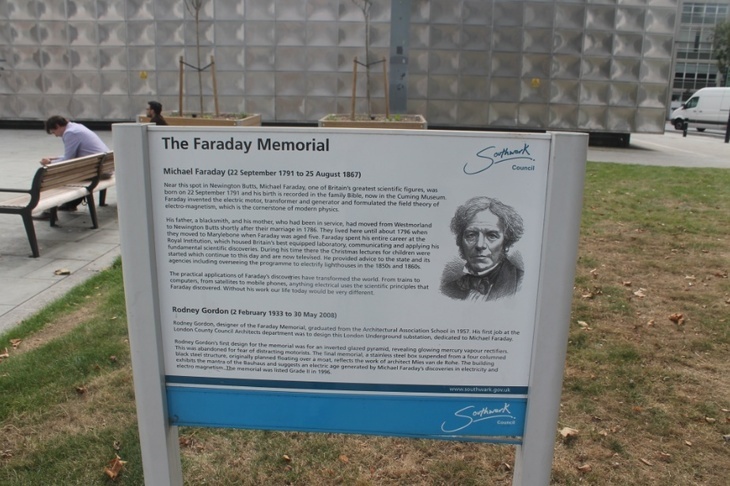 But it's also a memorial to Michael Faraday — the Victorian chemist and physicist who discovered electromagnetic induction, invented the electric motor, transformer and generator. He essentially changed science and technology for good. 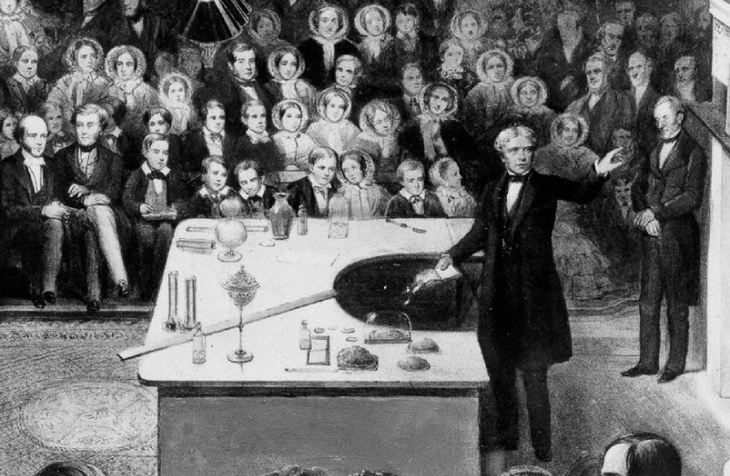 Faraday was born in nearby Newington Butts, a name rarely used for this part of town now, but still applicable if you want to bring it back. Rodney's first design... was for an inverted glazed pyramid revealing glowing mercury vapour rectifiers. This was abandoned for fear of distracting motorists. The memorial became known to thousands of schoolchildren in 1996, when 10 year-old Anne-Marie Purcell won the Blue Peter Light Up Britain competition [pdf], which saw the box projected with slowly-changing blue, green magenta and purple (the colours couldn't change too fast, also for fear of distracting drivers). A new multicoloured lighting scheme was installed in 2012, after the old one was long abandoned. Sorry, Anne-Marie. Lovers of avant-garde electronica, meanwhile, may have bought into the myth that Richard James AKA Aphex Twin lived, or lives inside the Faraday Memorial. Not true, and it's possibly James himself who perpetuated the gag, by reeling in gullible music writers. Following the recent Elephant and Castle roundabout overhaul, the Faraday Memorial has become more physically accessible to Londoners. UCL students, people trying to work out which way Waterloo is, and the odd drunk demanding in a marginally threatening way to have their picture taken, can now sit on benches and watch fleets of south London traffic go by. That covers the outside of the memorial, but what's underneath its shell? The clue is in Faraday's major career achievement. It houses an electric substation for the nearby Northern and Bakerloo lines; one good reason why you couldn't live in it. 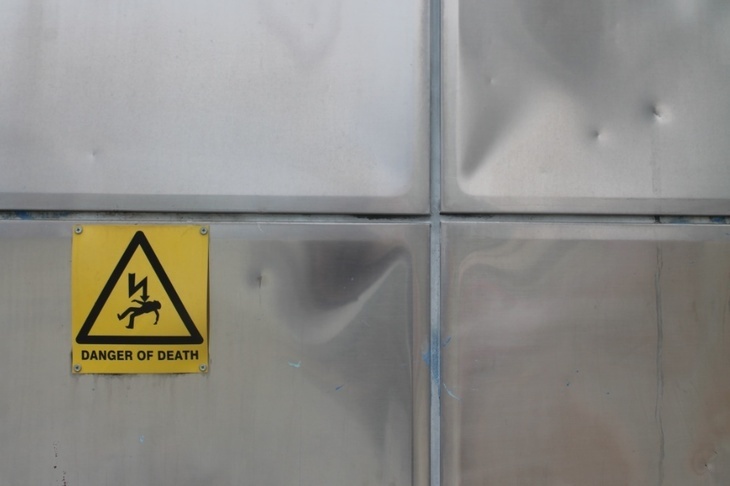 As well as being London's strangest, and most practical, memorial, this has also got to be one of the most potentially lethal (although others have proved more deadly in the past). This isn't London's only odd memorial to Faraday; The Faraday Effect in Trinity Buoy Wharf is a shed that makes nautical sound effects, and which also may be London's smallest museum.